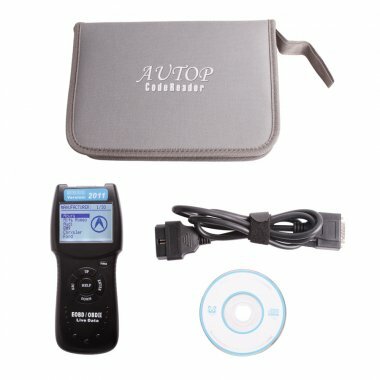 1.An essential piece of kit for all car and van owners save time and money with this hand held OBDII scan tool which enables you to troubleshoot any problems in your vehicle by reading the Diagnostic Trouble Codes (DTC) that appear when the "check engine"light is showing. 2.DTCs are codes that are stored by the car's in-board computer system in response to a vehicle issue. Codes relate to a particular problem and are made up of a 5 digit alphanumeric sequence and are used as a guide to help locate the fault in order for you to fix the vehicle. 3.This scanner has CAN Protocol Support which gives wider vehicle coverage. It resets the check engine lights, reads and clears all generic, and some manufacturer specific, DTC, displays the I/M readiness status, views OBD II freeze frame data, displays pending codes, retrieves vehicle information (VIN), and determines the status of the malfunction indicator (MIL) lamp. 4.Help prevent costly future engine trouble and identify problems when buying or selling a used vehicle with the MULT-OBD scan tool. 5.The D900 CanScan is brand new and is supplied with: scanner unit OBD II connector cable, disc with comprehensive user manual, OBD information and compatibility list and padded storage case with wrist strap.